KOR Water has been bringing sustainable hydration to the masses since 2008. After focusing so long on design we wanted to find a way to enhance everyday water and KOR+ was born. KOR+ is super water on-the-go. It's a revolutionary bottle + filter system that provides antioxidant support for better fitness, recovery, and everyday health. Customers join the subscription program on their first purchase of the bottle and filter and receive a fresh filter every 30 days for $15 a month. Customers can cancel anytime. WOLACO Creates products with great design and fashion for modern athletes. They have introduced more compression shorts and broader active wear on the market. 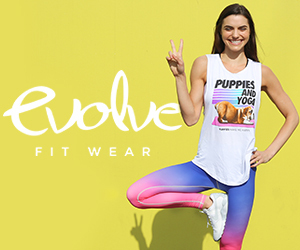 These guys are definitely doing it right with the mission to empower people to live an active way of life. They are always creating innovative, efficient performance apparel and the future will only get better. With WOLACO, you come first and quality products are guaranteed. Check out the latest products from WOLACO including the new Warren Outer Shorts In the picture below. At ActiveGear, our products are designed to help you train hard, and play hard. When you need nothing less than the best from your body, you'll need products that offer the support required to enhance your performance, reduce risks, and maximize recovery after injury.The impressive pressure gradient of 15-23mmHg used in our calf sleeves helps individuals to avoid the discomfort of cramps and shin splints by boosting circulation and allowing for the easy movement of de-oxygenated blood around the body. 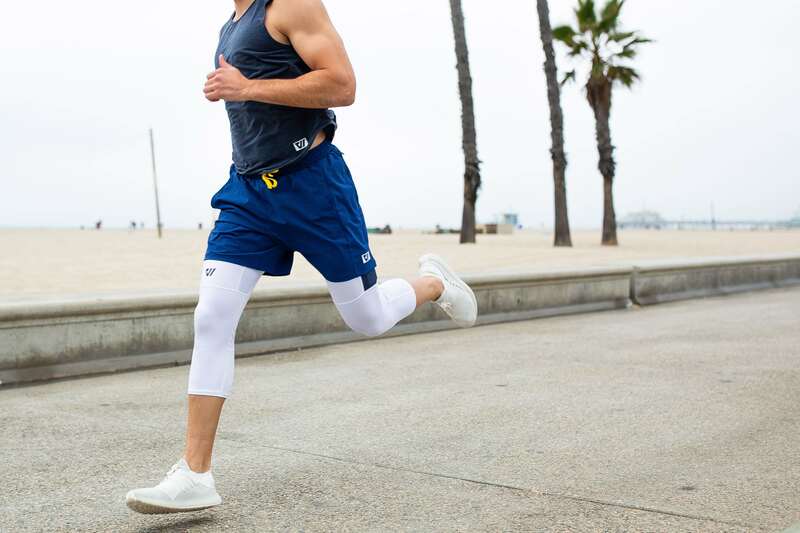 From reduced fatigue to better recovery, and even optimum muscle support, the ActiveGear calf compression socks are ideal for any active individual. To continue with your fitness at home, this ab roller is a great product to get you started. it comes with a knee pad and is easy to assemble. It will help you with abdominal strength and getting those abs. I highly recommend this product if you are interested in getting fit abs. Make sure to avoid lower back injury with this product. You can start gradually by rolling over towards wall. The wall will act as a means to stop over extending beyond your reach. Try this tip everyday and build strength slowly. Try this product about 5 times whenever you do your workout and you are guaranteed to start feeling that abdominal hard tone. Add it to your regular workout and results will begin to show within a month. Here is a video from YouTube showing you how to use such a product with the assist of the wall. Resistance bands target your glutes, quads, hamstring and core muscles. They are perfect for indoors and outdoors. If you need to to tone your legs, these bands are great when slotted around the ankles for squats workout. Take your workout to the next level and improve core strength, flexibility, posture and balance. The proworks resistance bands are fantastic for beginners who don't know what to do. They come in a set of 4 with a workout booklet. Resistance bands are suitable for men and women of all ages and can be used for a variety of exercises including aiding with mobility and recovering from injury. You should add this piece of accessory to your fitness workout. Dip belts are perfect accessory for various body building workouts including pull ups and squats. Dip belts can be used for both home workout and gym workouts. Adding some weight to your waist can help you strengthen your back and legs. By unloading the spine and putting all the weight on the legs, its great for people who have upper body injury but still need to do squats. Here is a video from men's health showing you how to use a dip belt. Dip belts will give your hips and legs a great workout with a very low chance of injury to the spine or back. There is a minimal use of your upper body like the shoulders and the spine will not be compressed. start targeting your hips, quads and glutes with this accessory. Weight lifting belts provide core support for body building when doing squats, deadlifts, powerlifting or strength training exercises. They can support your back to avoid injury. They contour your body and allow mobility for many types of workouts including overhead presses which prevents injury and allows you to train for longer. If you have ever suffered lower back pain during training, weight lifting belts normally have padding which allows you to wear the belt during lifting to avoid pain. If you plan on lifting during your workout, It is highly recommended to wear a belt. Weights have colour codes for easy selection and comes with a free kettle bell workout CD showing 20 great workout exercises. The range of weights is ideal for anybody who wants to improve fitness improve co-ordination flexibility, build core strength, build muscle and lose weight. Kettle bells work your entire body including your entire upper body, lower and transforms it to build muscle, burn calories tone and tighten your body. Kettle bells will develop your six pack improve strength and posture. Generally stating, its a versatile fitness accessory used for swings, deadlifts, squats, lifting, get-ups & snatches to workout & increase strength of many muscle groups and body parts including biceps, shoulders, legs, & more . Kettle bells are great for core strength training. They can help you build powerful forearms and improve your grip. During training with kettle bells, the muscle which help with breathing are engaged in this activity and therefore improve cardio-respiratory fitness. You can never miss your workout because kettle bells can allow you to workout from anywhere. There are many ways to train with kettle bells including swinging, squatting and push up press. This little set of weights will surely not let you down. If you don't want to go to the gym but still need to build muscle and increase your strength, these are ideal. These dumbbells have a nice grip and no rattling when lifted. They come in a small box and easy to store away. This will be your best indoor kit you have ever bought. Pull-up bar is one of the most effective home workout accessory you can buy. You can work so many of your body muscles using your own weight on the bar. when you hang freely on the bar, a combination of movements with extension an contraction of muscles makes it possible to work any muscle. The pull up bar will tone most of your biceps forearms and back, strengthen and tone your chest, arms, shoulders, back and abs. This accessory is suitable for home workout with variety of exercises for beginners too. Has padded grips, Up to 150 KG without drilling and improved foam grips.